BEWARE: Geoff Flannery would like to see more 60m warning signs in NSW. VETERAN Red Cross Blood Service driver Geoff Flannery doesn't do a lot of interstate runs nowadays, preferring to stick mostly to his deliveries of blood around Brisbane hospitals. So, you can imagine his surprise when he got a curt reminder of the many pitfalls awaiting relief line-haul drivers in the mail recently. While filling in for a colleague making a delivery of plasma to Melbourne, a Safe-T-Cam had snapped Geoff inadvertently following the truck in front of him too closely. No warning or slap on the wrist; just a $1346 fine and four demerit point recorded against his licence. Geoff appealed the severity of the infringement on the RMS website, but was told the penalty would stand. "The evidence supplied by the Safe-T-Cam indicates that your estimated distance from the long vehicle in front of you was 16 metres," was the RSM written response. "Section 127(1) of the NSW Road Rules 2014 states that a long vehicle other than a road train that is behind another long vehicle must keep a minimum distance of 60 metres." 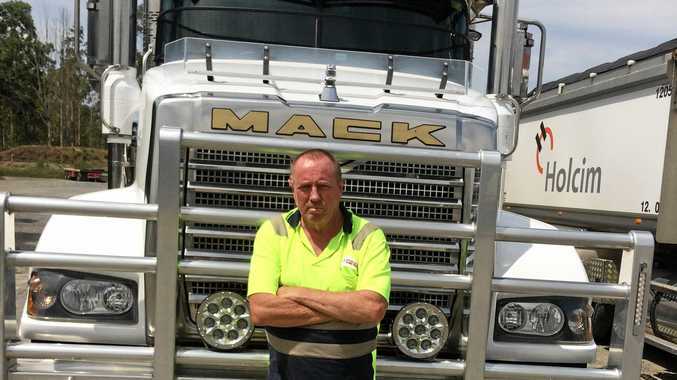 Frustrated by the lack of warning signs on the road, Geoff said he's now sharing his story with Big Rigs in the hope others won't suffer the same fate. "I'm not a cowboy; I do the right thing," said Geoff, who has an almost blemish-free record until now. "I thought about appealing it in court, but by the time you go to NSW, take a week off work, and pay for the accommodation... and then the judge says, 'well, you did it didn't you?'. You've lost before you even get anywhere. That's the real hard part about it." We asked the RMS for comment on the case, and why there aren't warning signs in place. "Crashes involving heavy vehicles are often serious because of their size and weight, regardless of who is at fault. "Travelling 60 metres apart allows trucks time to stop safely if there is an incident. "As professional drivers, heavy vehicle operators are required to reasonably know all relevant laws related to their industry. "In 2018, Roads and Maritime Services average speed safety cameras and Safe-T-Cam sites identified 669 heavy vehicles tailgating through these facilities. "Roads and Maritime holds regular forums and industry information days to educate trucking companies and drivers about a range of matters, particularly around safety." For more visit www.rms. nsw.gov.au/business- industry/heavy-vehicles/ focus-on-freight/ 2019-events.